The healthcare industry is constantly making new breakthroughs and reporting important facts on studies. And today, our neighbors, moms or friends may weigh in with what they think or something they read online. When we are bombarded with so many mixed messages, it is hard to know what to believe these days. “The great enemy of the truth is very often not the lie, deliberate, contrived and dishonest, but the myth, persistent, persuasive and unrealistic.” Truth be known that when it comes to our health, it is important to study the facts to understand how behaviors or change of behaviors may benefit us and those we love. One of my New Year’s Resolutions was to go from finding the time to exercise to making the time to exercise and stay active. As a result, I have been doing a lot of research to develop and hone my commitment. And I have come across some surprising information that I would like to share. Crunch, crunch, crunch…but don’t be surprised if we do not see “rock hard abs.” Although it seems logical, spot training, or exercising one part of our body with the hopes it will look amazing, may leave us heavily disappointed. Let’s take for example sit ups. 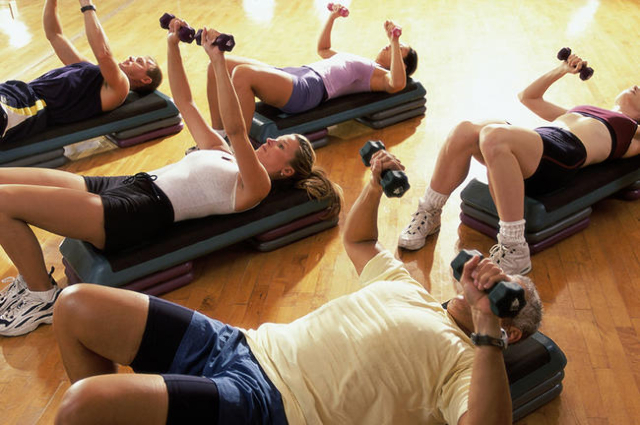 It is true that our abdominal muscles burn fat when we do our crunches. But, they do not burn fat immediately around them. It is also true that doing crunches can develop strong and large abdominal muscles. But unless the fat above those muscles disappears, we will not be able to appreciate that “six pack.” So how do we get that washboard stomach? By burning fat throughout your body via jogging, swimming, biking, and other cardiovascular exercises. Toxins are eliminated by your liver, kidneys, and gut; not by sweating. Although some people jokingly state that “sweat is your fat crying,” perspiration is your body’s way to regulate its temperature, somewhat like an air conditioner. It is mostly comprised of water (99%) and a small amount of salt, proteins, carbohydrates, and urea. “Trace,” or miniscule, amounts of toxins may be detected in sweat, but they get rid of less than 1% of the body’s total toxin content. Additionally, heavy sweating can cause you to become dehydrated and, as a result, force your kidneys to conserve water and hang onto toxins. Talk about spinning your wheels! So the next time you know you will be breaking out a sweat, take a bottle of water with you. There is no evidence that static stretching before a workout prevents or causes injury or decreases delayed-onset muscle soreness. Static stretching is defined as stretching while you stay in place, bend over to touch your toes, or pull your ankles towards your hips. In fact, there is some evidence that static stretches that last longer than one minute can strain your muscles and slow you down. On the other hand, dynamic stretching, such as swinging your arms or walking lunges, increase your range of movement and blood and oxygen flow to your muscles prior to exertion. This may help not only improve performance, but decrease your risk for injury. This article is for general information only and should not be used for the diagnosis or treatment of medical conditions and cannot substitute for the advice from your medical professional. Dr. Nina has used all reasonable care in compiling the current information but it may not apply to you and your symptoms. Always consult your doctor or other health care professional for diagnosis and treatment of medical conditions or questions.